After more than 20 years of service in the Democratic Republic of Congo (DRC), Linda is now based in North America due to health reasons. She continues to serve as a link between the FMC in the DRC and in North America by facilitating ongoing projects and encouraging new initiatives that will help the FMC in the DRC in it ministries. Linda is also in the process of developing a new ministry to assist newcomers to Canada and the USA, especially those from Central Africa. 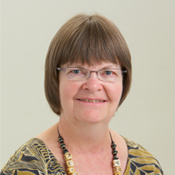 Linda, a Canadian, attended Aldersgate College in Saskatchewan. She graduated from Roberts Wesleyan College in New York with a B.S. in nursing and from Indiana Wesleyan University with a M.S. in Community Health. She received her nurse-midwifery training at the University of Mississippi. If you would like to donate to Linda Stryker, click on “Donate Now.”This will take you to the Free Methodist page on the Canada Helps website, a secure site for online donations. Just below you will see a box – Message/Instructions – type in clearly “Linda Stryker – Support”.